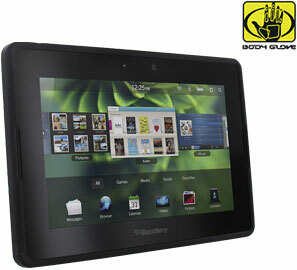 The Blackberry PlayBook Stripes Case is ultra thin to complement the slim profile of your tablet. Yet, this case is made of durable, rubberized, wear-resistant material for solid protection. The case features a textured, high gloss stripes pattern. The Stripes Case is custom-fit for your BlackBerry Playbook and allows access to all buttons and controls.